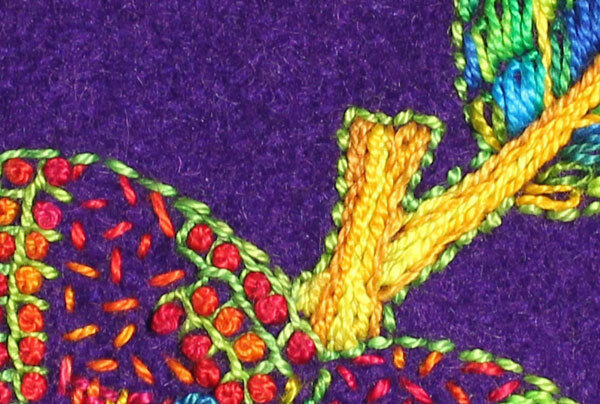 The Back Stitch is a linear stitch that makes a dashed line on fabric. Use it to draw lines, outline shapes (above), or stack the stitches to make brick-like pattern. Vary the length of the stitch to make fine dots or long dashes. 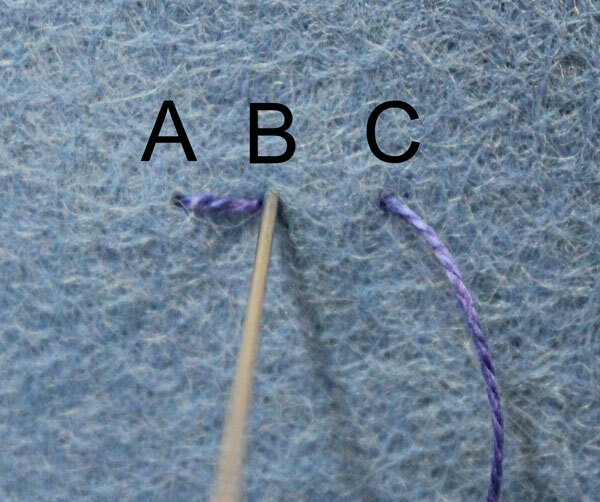 Here’s how to make the Back Stitch: Begin with the thread at point A. Insert the needle vertically into the fabric at B. Point B is 1/4’’ to the right of A. Draw the thread through the fabric. 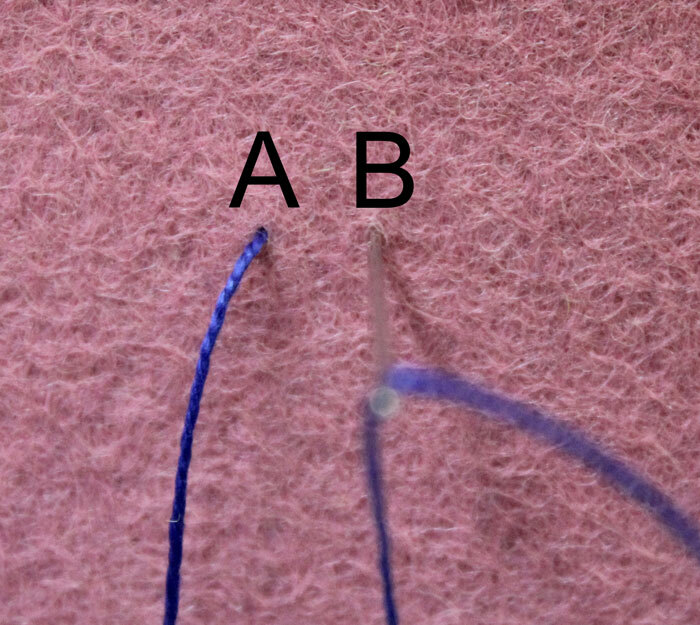 Bring the thread up at C. Point C is 1/4’’ to the right of B. Insert the needle vertically at B and draw the thread through the fabric. Repeat above step always bringing the thread up at C and returning the needle to the left of point C at point B to make a line of stitches.